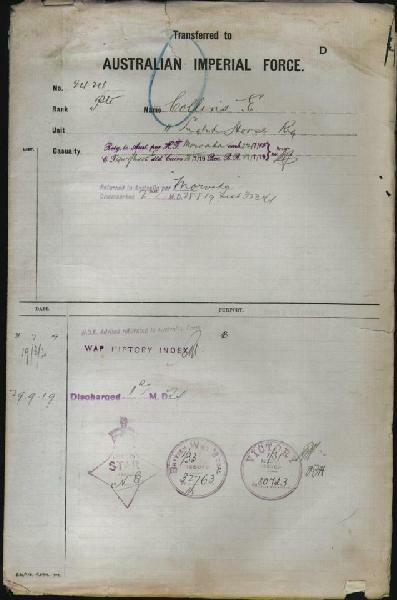 2424 Pte Edward Collins, Attestation Paper, p. 1. 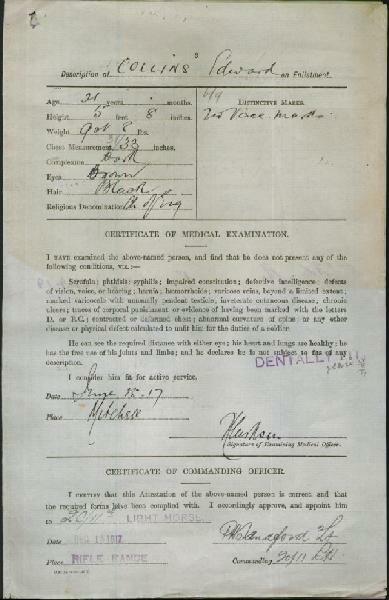 2424 Pte Edward Collins, Attestation Paper, p. 3. 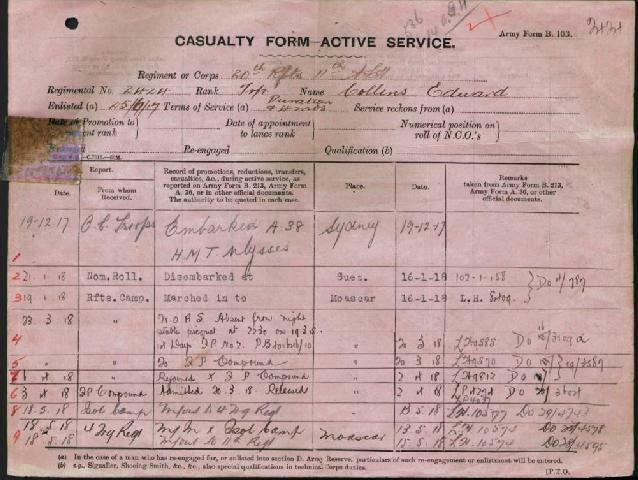 2424 Pte Edward Collins, B103, p. 1. 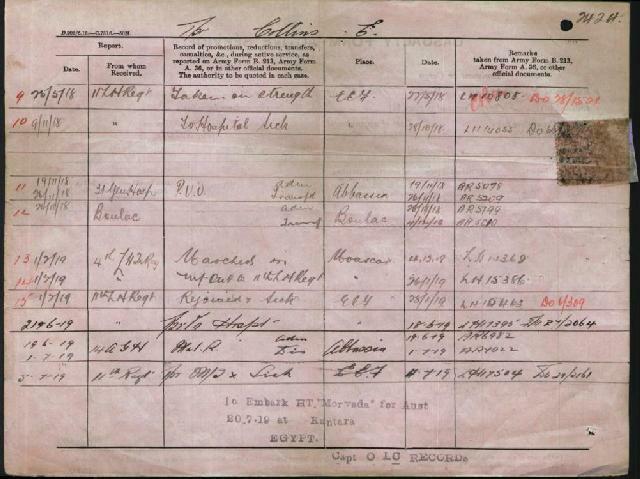 2424 Pte Edward Collins, B103, p. 2. 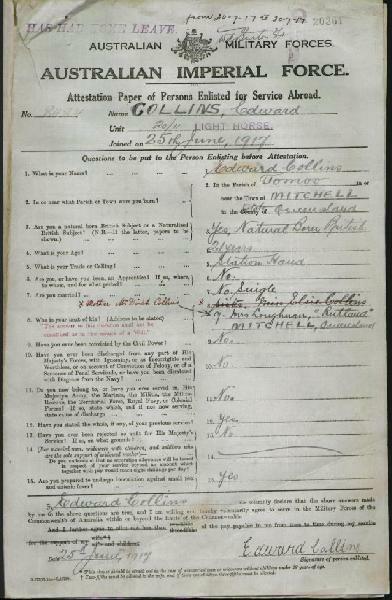 2424 Pte Edward Collins, AIF D, p. 1.